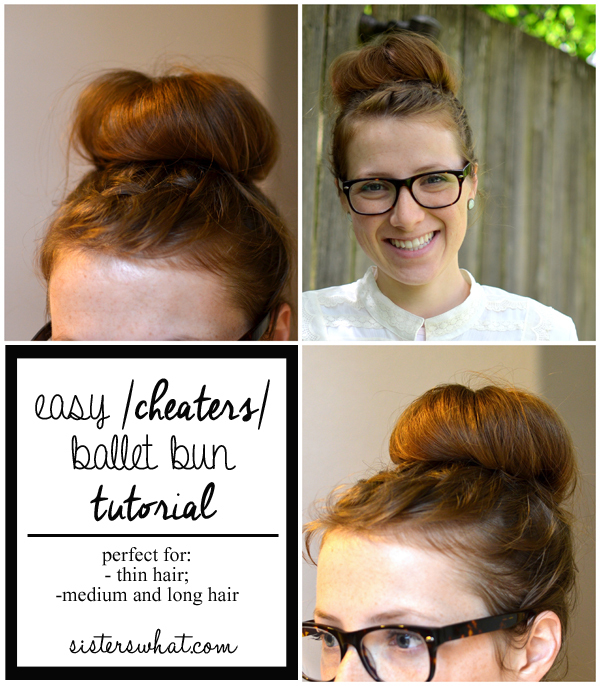 ' Easy Cheater Ballet Bun Tutorial - for thin hair - Sisters, What! These days I don't do much with my hair. 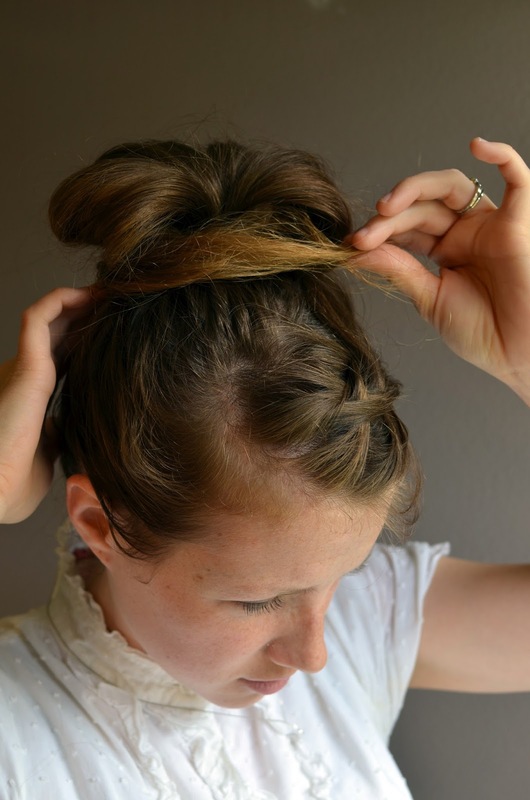 Either it's in a pony tail, up in a clip or in a bun. I just don't have time ( or just don't want to take the time to do my hair-totally lazy). 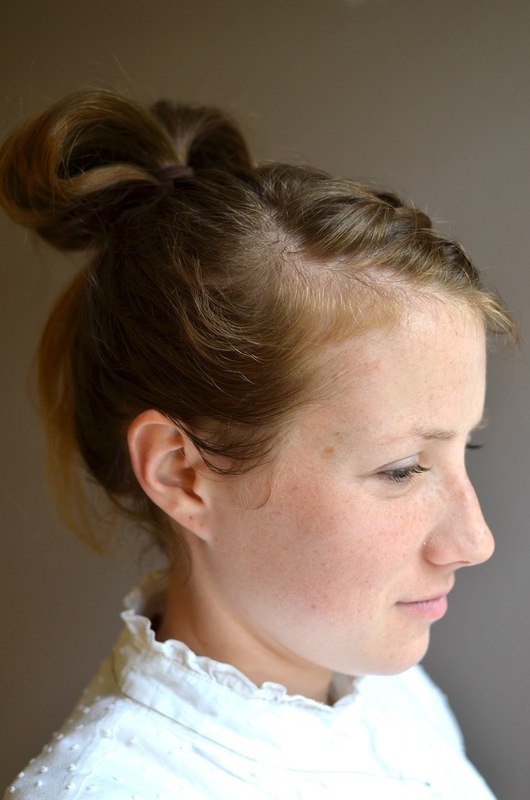 I've always loved the high buns but I have ultra thin hair so my bun always looked pathetic. I tried the sock bun but that made my head feel heavy so that was a no-go for me and I tried the ratting, but I really hate ratting my hair. 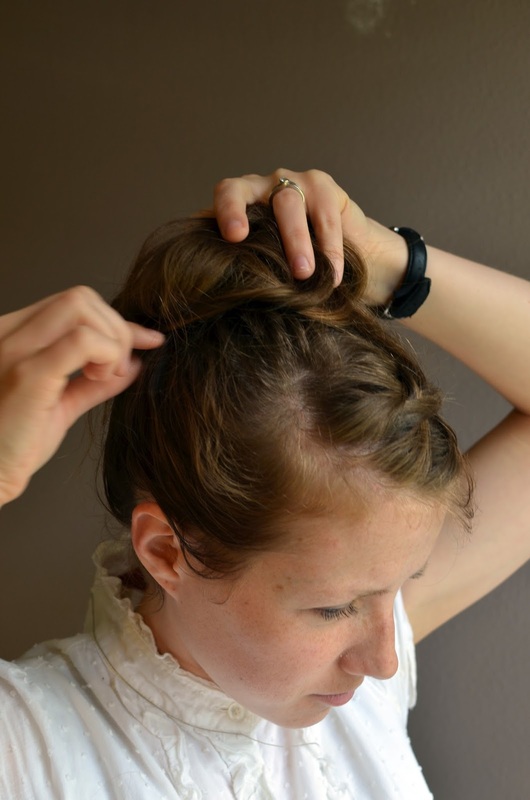 I finally found a method that totally works for my thin hair and is super easy and quick. However, you do need to have medium to long hair. 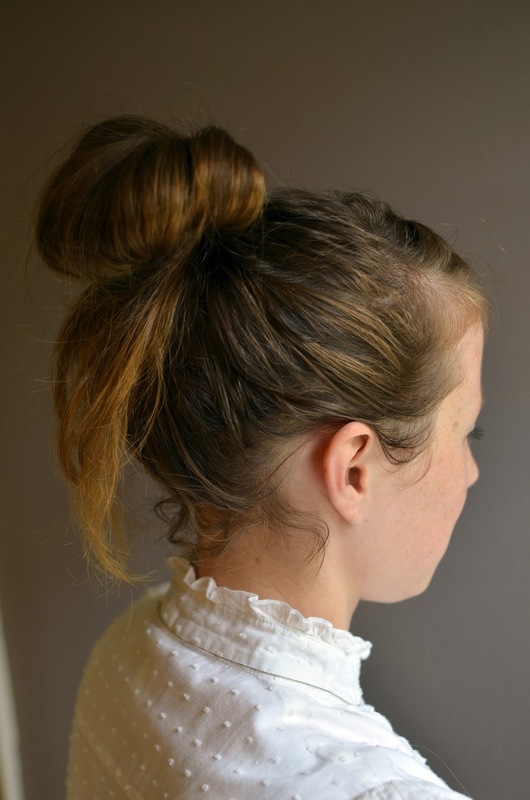 |3| Just keep working at it until all gaps in bun are closed up and formed into the hair bun. 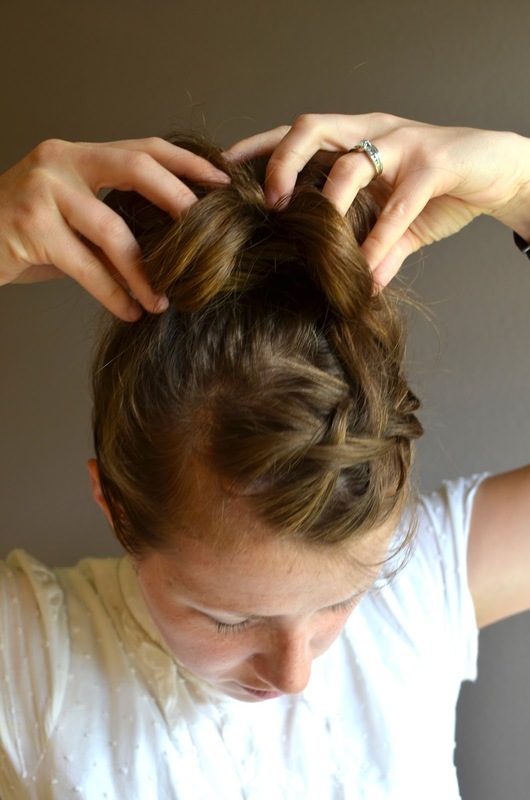 Start pinning with hair pins. Sorry these aren't the best picture. 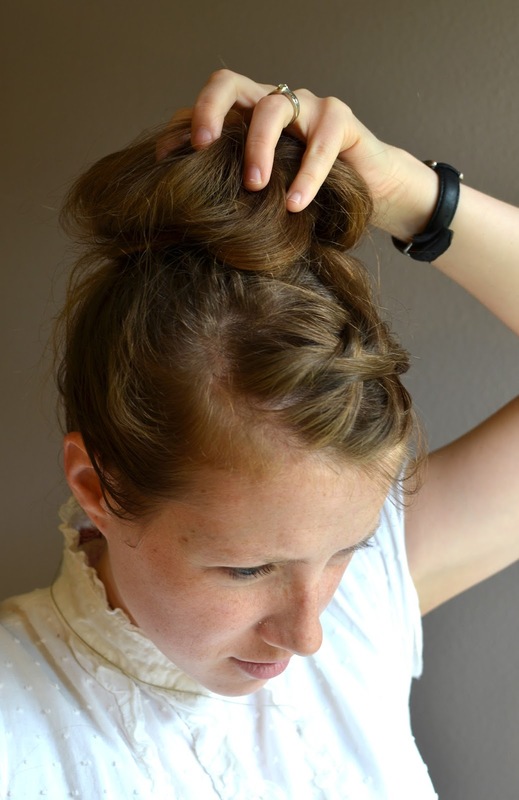 Watch the video below for ballet bun in action.